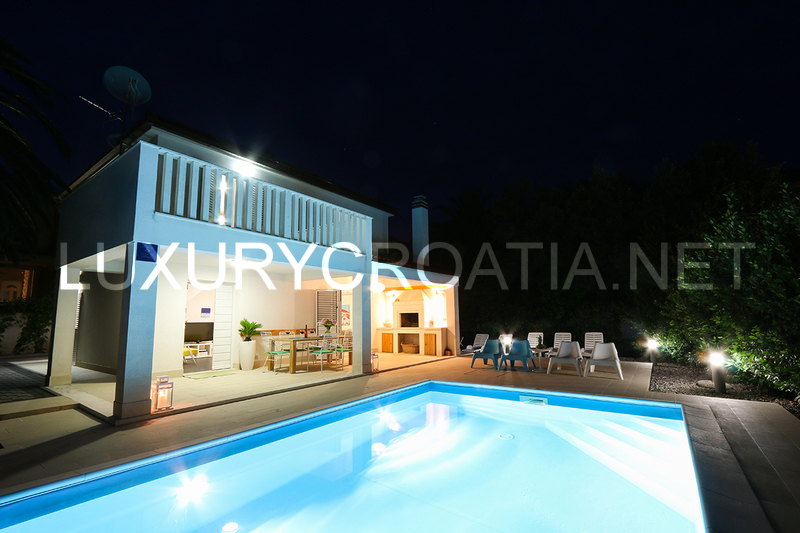 Villa is located in Dalmatia, near down town of Orebic on the peninsula Pelješac. This luxury stone villa is situated close to the beautiful long sandy and pebble beaches. 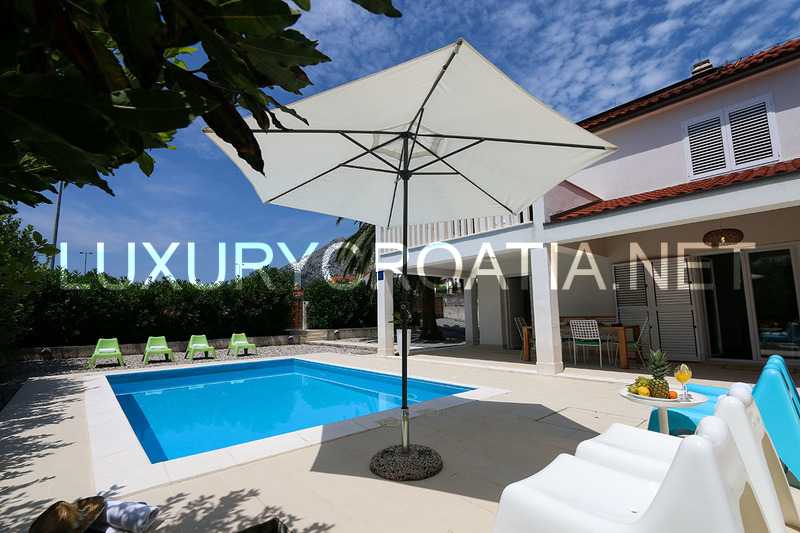 It is a perfect place for enjoyment during the summer holidays. 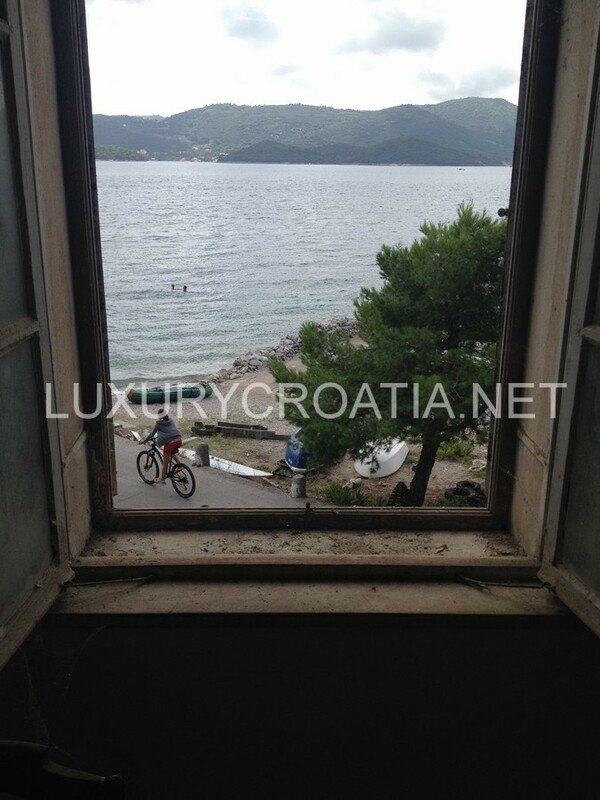 The area is well known as a kite and surfing paradise and the best Croatian red wine destination. 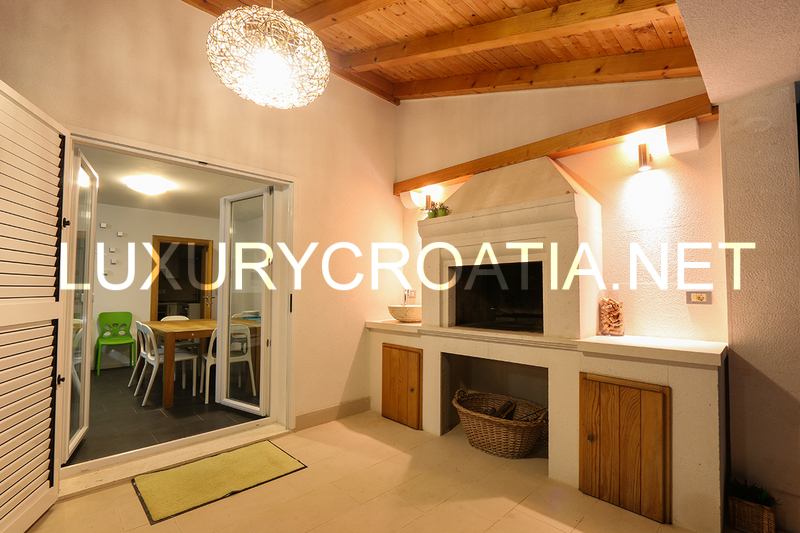 On the ground floor is a modernly equipped kitchen, living room area and dining room. 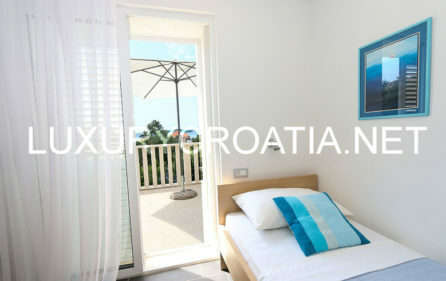 On this floor there is also bedroom with matrimonial bed and bathroom equipped with hydro massage and deep corner bath. 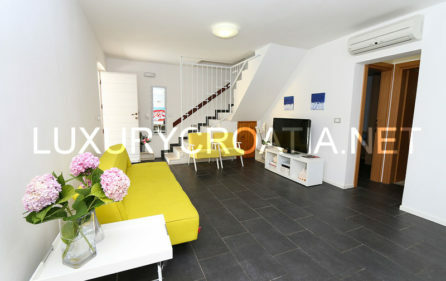 The whole ground floor area is framed with tall double doors that lead into spacious terrace of approximately 30 square meters. 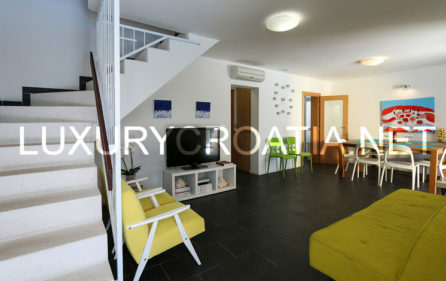 Ground floor area and first floor are interconnected with internal staircase. 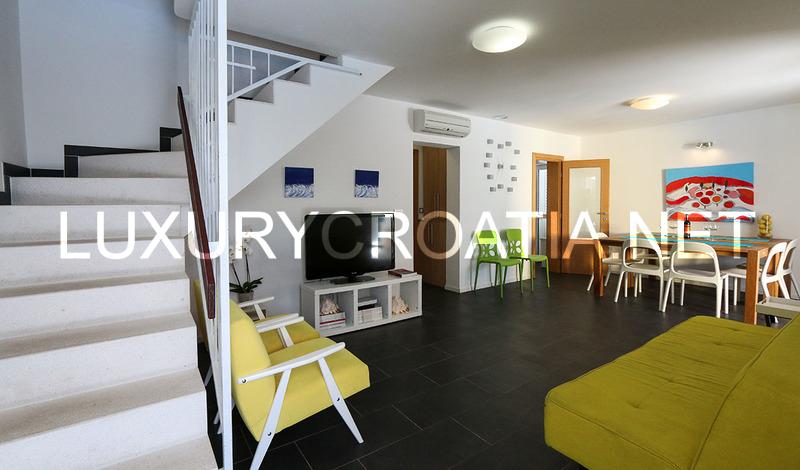 On the first floor are three double bedrooms: one of them is equipped with matrimonial bed and the other two with two twin beds. 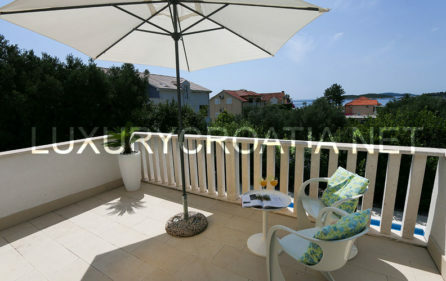 The southern bedroom with two twin beds has access into amazing terrace (15 square meters) equipped with sitting furniture and with spectacular sea view. 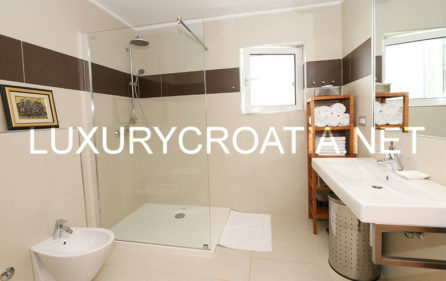 This floor also has very comfort bathroom. 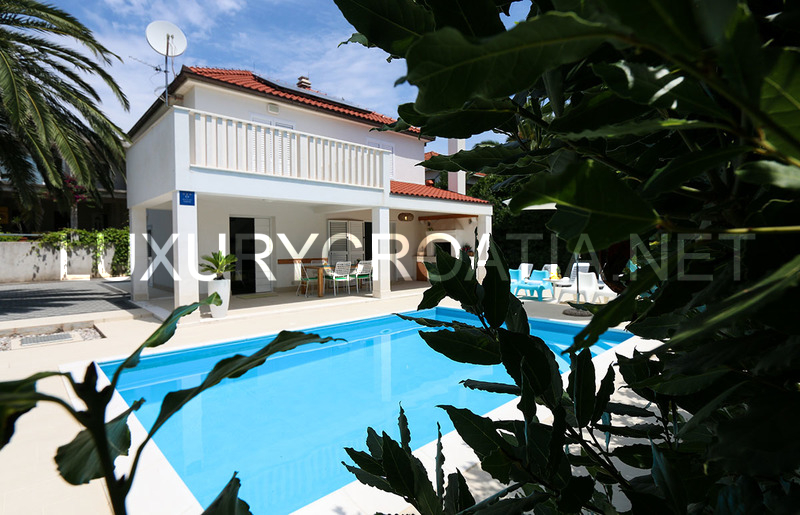 In the outer part of the villa there is a comfort terrace framed alongside its entire length. 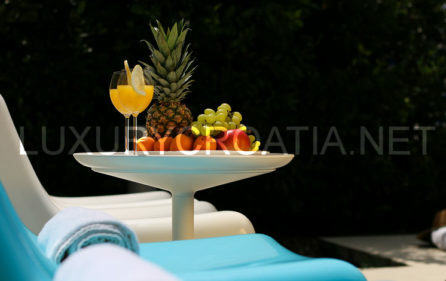 The central part of this terrace is occupied by beautiful swimming pool (24 square meters) with sunbathing area. This whole platform is additionally embellished with night-lights that create an amazing effect. 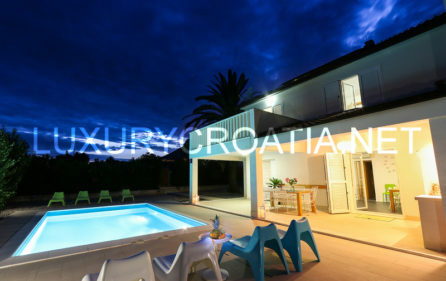 In this section there is also terrace with unique fireplace and lots of dining utilities, that is perfect for preparation of various grilled dishes and for having friendly and family gatherings in the open air in really unique ambience. Behind the villa is an outdoor shower. 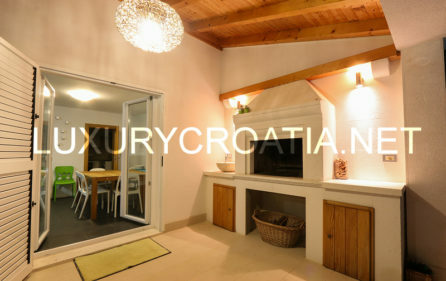 Villa is fully air conditioned and has central floor heating. Villa gains central hot water through solar collectors. Villa has SAT TV, Internet access, fully equipped kitchen with dishwasher, oven, stove with 4 ceramic plates, fridge / freezer/ice, microwave, kettle, hood, washing machine, iron and ironing board. Villa has 3 parking places on its property.